Some treasured family recipes prepare a quantity of cake or cookies that made perfect sense in the age of large families. For modern households of two or three, however, heating your oven and preparing massive quantities of baked goods can be overkill. Preparing smaller batches and baking them in your toaster oven requires some adjustments, but can help reduce your consumption both of power and baked goods. One of the most powerful advanages of a conventional oven over a toaster oven is shelf placement. The racks can be raised or lowered to different positions, altering the flow of hot air to favor the bottom or top of the goods you're baking. A toaster oven might only have one or two rack positions, offering less flexibility. This can be a serious limitation when you're baking in a toaster oven because the heating element is so close to the tops of your baked goods. Sometimes, it might be necessary to shield the upper surface of your pan with a piece of foil to prevent burning. Conventional ovens can handle almost any pan, though only a few oversized models can accommodate a full commercial sheet pan. That's not the case with toaster ovens, with their relatively compact footprint and low profile. Most modern toaster ovens are designed to take up to a 12-inch pizza, so round cakes aren't usually a problem, and each comes with a small sheet pan for cookies. Muffin pans and rectangular cake pans are more problematic, and you might need to adapt your recipe to fit smaller pans. Specialized pans are available for toaster ovens, but most recipes are scaled for conventional pans. To adjust, look up a pan-volume chart in your favorite cookbook or online. Pour enough water into your specialty pan to fill it to the two-thirds mark, then pour that into a measuring cup. Compare the capacity of your specialty pan to the regular pan, and cut your recipe accordingly. 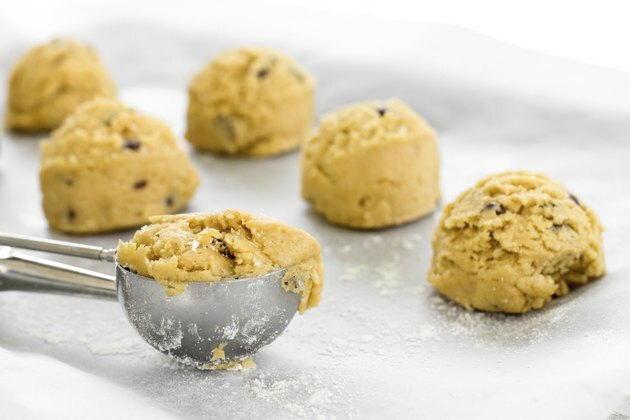 Alternatively you might make a full batch and freeze some batter for later, or switch to a lower-yield recipe designed for small households and small pans. Adapting to baking in your toaster oven can require some effort and some trial and error, but it's usually worthwhile. If you struggle to minimize your consumption of sweet treats, switching to small batches in your toaster oven can be a big help. The toaster oven also warms more quickly than most conventional ovens, and uses significantly less electricity. In summer, or in warm climates, you'll also experience less warming in your kitchen if you use the smaller appliance.